Meet Tip and Tucker! These hamsters are best friends and like to stick together. But while little Tip is sometimes nervous about new situations, Tucker likes to explore and see new things. Everything changes when Mr. Lopez purchases them from the pet store. 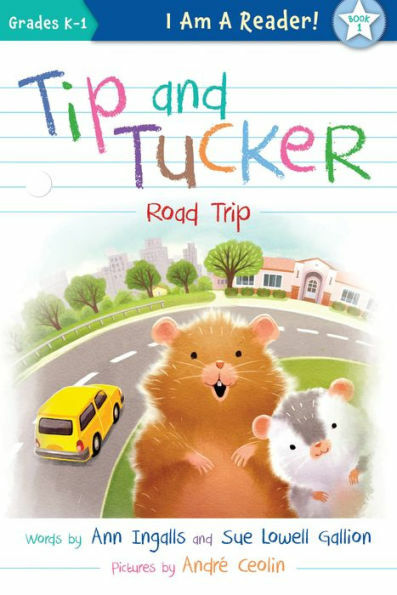 As Tip and Tucker take a road trip, they wonder what their new home will be like. Mr. Lopez says it will be noisy and fun. What is school? In playful, simple stories written especially for the K-1 audience, Tip and Tucker will help beginning readers explore new feelings and learn to navigate classroom dynamics and relationships.